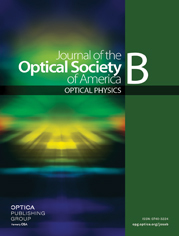 An analysis of the radiative properties of an electric dipole placed near planar, Kerr-type nonlinear waveguides is presented. Four fundamental geometries are discussed with emphasis on a linear–nonlinear interface and a Fabry–Perot cavity. A comparison is made with a dipole near a linear waveguide for which the interaction with nearby bound modes influences the damping rate and angular distribution of the dipole’s radiation. The magnitude of the influence, which is readily quantified, depends on the properties of the waveguide modes. Unlike its linear counterpart, the nonlinear waveguide supports different modes when pumped at different intensities. Rather than having properties that are fixed at the time of sample fabrication, a dipole near a nonlinear waveguide is found to have a dynamically tunable, intensity-dependent damping rate.